Costa Rica in 4 minutes! Spent about 10 days in vibrant Costa Rica a few weeks ago and I have to say, I really love traveling, especially in Central America. Every day was packed with activity and life, along with some amazing food. The people there are so gently and hospitable, just down right awesome. After putting captions on a handful of pictures, I decided to take on a little project and make a video instead. This way, I can relive the experience myself. Enjoy folks! And as always, thanks for visiting! Zoo 5.0 – new build released! For our awesome clients who have more than 120 seats of McNeel’s Rhino, there is a new build! 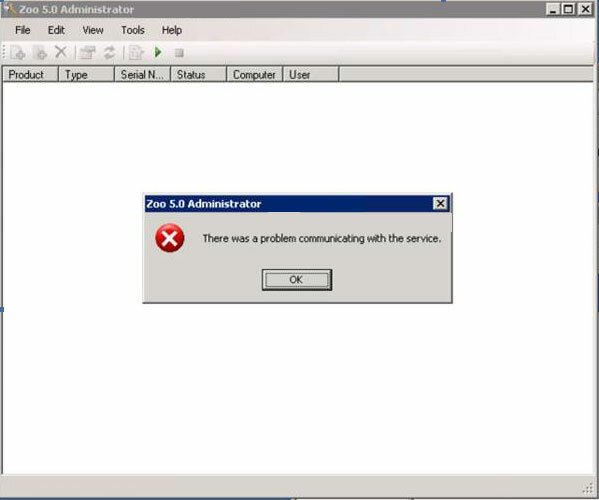 Released on Jan 15, the new build of Zoo 5 fixes that error when you try to manage the Zoo licenses but aren’t able to because of the error “There was a problem communicating with the service” and none of the licenses show up. Even after checking the service and reinstalling, it still fails! How frustrating! Thankfully it’s been resolved, and quite quickly too! Click on the link and install on the same machine. The previously registered licenses are retained (whew!) 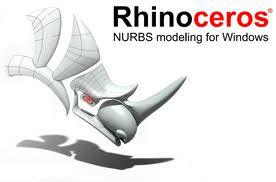 and everything will be quiet in the Zoo once again and you get back to creating some awesome geometry in Rhino! Since I had some downtime from the storm, I spent some time working with Windows Server 2012 and I have to admit, it’s pretty neat! I’ve configured the first license server in my virtual lab (using Oracle Virtual Box) to serve up some Autodesk products without any issues. Interface to the server is neat and clean, and performance has been impressive. I’m planning to set up a virtual domain and will keep everyone posted on how it all works out! Some clients are down from the storm and have to rebuild their license servers after Hurricane Sandy. If you need the Network License Server Tools for Autodesk 2012 products, the links are below. Go to “register.autodesk.com“, log in, and you can generate the license files automatically. You can also call Autodesk Activations at 1-800-551-1490 to speak to an Autodesk rep to get a license file. If you run into any issues at all, do not hesitate to contact us. Our support group is up and running and ready to help! Hope everyone is safe and doing okay weathering the crazy storm! Who would’ve thought that ‘Sandy would cause so much damage! We had a minor blip earlier this morning with one server but things are back to normal. Thankfully, I haven’t had issues where I live. Internet and power has been steady and reliable, and I’m happy to report that our team is doing well. If you need support, do not hesitate to contact us!!!! Got a follow up video for those you responsible for making deployments in your office. Since the original deployment was made, Autodesk has release Update Release 1; we’re going to add that update to your deployment image. We’re also going to change two file locations, the Revit Project Data path and the IES file location. There are two reasons for this change. If you want worksharing to work properly, the folder needs to be write-able for users. Since my DFS location is locked down and I don’t want to bother with permissions and blocking inheritance, I’m going to repath it to the local workstation. The second reason is that you will always have a local copy of the Revit model you’re working on (in case the server falls off the cliff). Hope the video helps in your deployment needs. If you have questions, feel free to leave comments in the video and I’ll answer them there. Thanks! V-Ray licensing is NOT the same as Autodesk! 1) On the server, you want to make sure the V-Ray Licensing components are setup to run on boot up, namely, to run as a service. You do this by going to the START MENU –> ALL PROGRAM –> Chaos Group –> V-Ray for _____ –> Licensing –> Administration –> Register V-Ray license service. This creates a service call VRLService on the server. You need to be an Administrator to do this. If not, you’ll get an error “VRL Service”: “Failed to open registry key”. 2) To specify which server to pick up the licenses, go to START MENU –> ALL PROGRAM –> Chaos Group –> V-Ray for _____ –> Licensing –> Administration –> Chagne V-Ray client license. This dialogue window will pop up; on the primary license server, type in the license server. You can also use IP address (as you see in the screenshot). There are many ways you can deploy Autodesk software and in this post/video, I’ll try to explain the different methods. 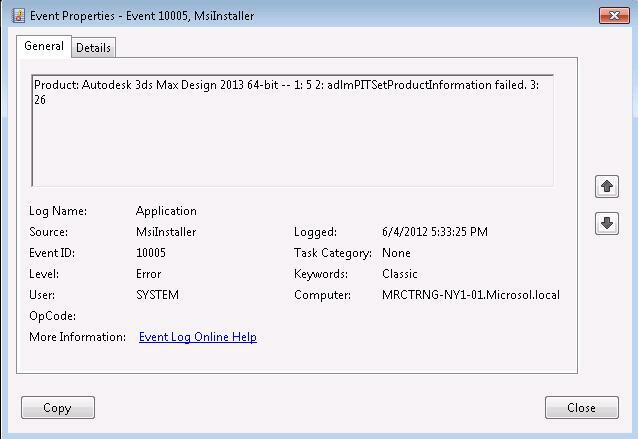 I’ll also show how you can easily create a deployment of AutoCAD 2013 on a DFS location, using my office as an example. 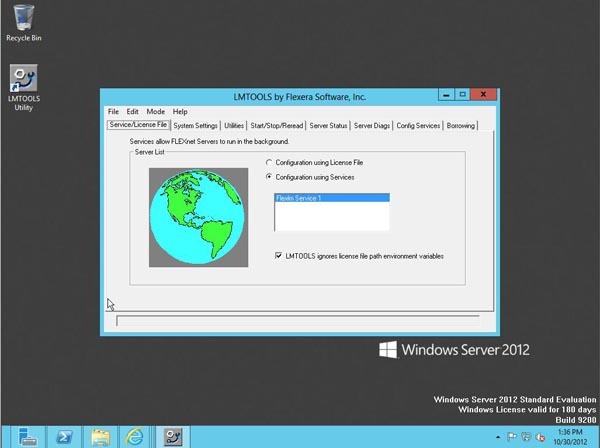 In the video, I’ll also go through different methods of automated software deployment, including batch files, Group Policy, and SCCM. I initially created a group policy as I’ve always done. Set package installation paths, point to the MSIs. Seems like that didn’t work too well. After a gpupdate /force, the workstation will look like it’s installing the software but when you log in and actually try to install it, you’ll get this errror with ACCORE.DLL crashing.